What with the convertible version of the new 6-Series being released so far in advance of the Coupe, we can’t help but wonder if BMW was ever really committed to the hardtop in the first place. 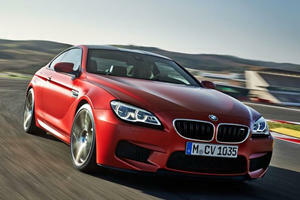 As a coupe, the 6-Series is intended to be a grand tourer, something it achieves tolerably enough. It has a lot of power, two doors and a comfortable interior. It does, on the other hand, lack some of that quality that makes a car special, a quality which many GT cars have in spades. Of course, the 6-Series is also cheaper than most of those cars, by a lot. 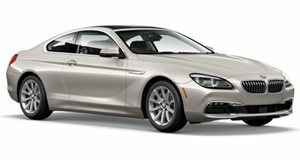 The BMW 6 Series has long been BMW’s range topping coupe, straddling the line between competitors such as the E Class Coupe and S Class Coupe. 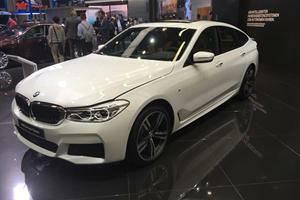 Based on the now outdated F10 BMW 5 Series, the 6er can be had in 3 body styles globally, but only 2 here – a convertible, and the answer to a question nobody asked, the 4 door Gran Coupe. But this may be the last you see of the sleek 6 Series – production will be discontinued soon to make way for the new 8 Series. 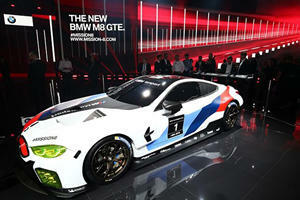 The only model bearing the 6 Series name will be the not yet available in the US 6 Series GT – replacing the 5 Series GT. Like the 5 Series upon which it’s based, the 6 Series interior is packed full of high quality materials, tactile finishes, and a typically precise German layout and design. Everything feels solidly put together and ready to stand the test of time. Also much like the 5 Series, there’s space for 5 occupants, though in Gran Coupe models the rear headroom is somewhat cramped. Inherited from the 5, but also exacerbated by its own styling, visibility from the 6 Series feels limited, with a long reaching hood, and generally large proportions tending to swallow you as a driver. Thankfully, the seating position is infinitely adjustable and absolutely superb – sitting low and with incredible telescopic reach adjustment positioning the steering wheel perfectly. It feels like a luxury GT, even though it’s based on an executive dad-mobile. The F10/F12 platform has one giant flaw – it is gigantic. The 6 Series may not necessarily be of the same size as a Mercedes S Coupe, but it feels as big. The weight of it and the low slung seating position make it feel larger than it is, which makes it awkward to blindly place on the road. But what it lacks there, it more than makes up for in outright talent. The 6 Series offers a superb balance between ride and handling, soaking up bumps but feeling ever connected with the road. It feels its weight, but the standard M-Sport suspension deals with it superbly with minimal heave and body roll. Optional rear wheel steering makes it far nimbler than its long wheelbase would suggest. Press on, and the 6 Series is a driving enthusiast’s joy – able to be chucked around with ease. The rear-driven nature leads to oversteer on the limit, but the long wheelbase makes it feel steady, progressive, and tied down. Two derivatives are available on the 6 Series – not including the Alpina B6 – with both engines utilizing the by now familiar, but excellent as always ZF 8-speed automatic gearbox. Drive by default goes to the rear wheels, though xDrive all-wheel drive is available. The 640i features BMW’s turbo 3.0-liter inline-6, with outputs of 315 horsepower and 330 lb-ft of torque. The 650i gets a twin-turbo 4.4-liter V8, with substantial power outputs of 445hp and 480lb-ft. The 650i GC with xDrive questions the need for an M6, with a 0-60mph sprint of just 4.3 seconds. As standard, the 6 Series is generously equipped with 14-way power assisted front seats, leather upholstery, adaptive LED headlights, dynamic cruise control, and iDrive 6.0, with navigation, a 10.2-inch display screen, and a standard 200GB hard drive. Safety equipment is equally as generous, including stability control, and ABS with cornering brake control and EBD. The Driving Assistance Package adds a heads up display, lane departure warning, blind spot monitors and frontal collision warning. The 6 Series hasn’t been tested by either the NHTSA or IIHS for safety ratings. The 6 Series may be on the verge of replacement with the 8 Series revival, but it’s still got plenty to offer. Powerful engines and a luxuriant cabin make the 6 Series the ultimate 5 seater GT car. Just imagine how much better it would be if it were lighter. It looks better than the BMW 5 Series GT before it, but that’s not saying much. And didn't tell anyone...until now.